The StarKist Co. (“StarKist”) family welcomes you to its StarKist.com website. We hope you find the information in our website informative, helpful, educational and fun. For convenience, references to the “Site” refers only to the StarKist.com website. BY ACCEPTING THESE TOU, YOU WAIVE AND HOLD HARMLESS STARKIST FROM ANY CLAIMS RESULTING FROM ANY ACTION TAKEN BY STARKIST DURING OR AS A RESULT OF STARKIST’S INVESTIGATION AND/OR FROM ANY ACTIONS TAKEN AS A CONSEQUENCE OF INVESTIGATIONS BY STARKIST OR LAW ENFORCEMENT RELATED TO YOUR USE OF THE SITE. THESE TOU ARE SUBJECT TO CHANGE BY STARKIST AT ANY TIME IN STARKIST’S SOLE DISCRETION. YOUR USE OF THIS SITE AFTER SUCH CHANGES ARE IMPLEMENTED CONSTITUTES YOUR ACKNOWLEDGEMENT AND ACCEPTANCE OF THE CHANGES MADE. PLEASE CONSULT THESE TOU REGULARLY. This Site is intended for use by persons 18 years of age and older. Unless otherwise stated, and/or relating to user generated content, all other images, text, audio, video, graphics or other content (including, without limitation, names, logos, trade names, trademarks, trade dress, trade secrets, copyrights, service marks, patents, and other intellectual property and proprietary material, including the Site itself) displayed or otherwise published on the Site (collectively, “StarKist Content”), may only be used in the manner provided for in these TOU and is owned by StarKist. StarKist retains all right, title and interest in and to the respective StarKist Content. Access to the Site does not transfer any right, title or interest in the Site, StarKist Content or other Site content to you. You are not to remove or alter any intellectual property or other proprietary notices visible on the Site. There may be other content on the Site not owned by StarKist. The other content remains the property of the respective owner, and access to the Site does not transfer any right, title, or interest to such content to you. 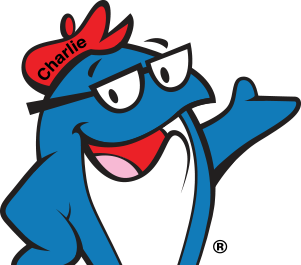 StarKist, StarKist Co, Charlie and any graphical depictions of Charlieare marks of StarKist. Other marks, names, and logos on this Site are the property of their respective owners. All rights not expressly granted are herein reserved to StarKist. Certain elements of the Site, including but not limited to, text, graphics, photographs, audio, video, images, and Site layout are protected by United States and international copyright laws. No portions of the Site may be copied, republished, modified, edits, transmitted, used to create derivative works of, or reverse engineered without permission. We will permit you to display, download or photocopy one copy of the Site for your non-commercial and personal use, provided that our trademark, copyright and other proprietary notices are prominently displayed on such materials. Restrictions on Use of Site. frame the Site or hyper-link to the Site. Any modification or use of the Site content except as expressly provided herein may violate StarKist’s or a third party’s intellectual property rights. You agree to cooperate with StarKist in causing the immediate cessation of any unauthorized modification or use of the Site or any content. Although we have tried to provide you with an accurate, safe and up-to-date Site, we cannot be certain nor warrant that all such content is free from errors or omissions. You use the Site at your own risk. As a result, StarKist makes no express or implied warranties, representations, or endorsements whatsoever with respect to the Site and cannot make any representations or warranties as to the accuracy, adequacy, usefulness, or completeness of the Site. StarKist expressly disclaims all warranties of any kind (express, implied, statutory or otherwise) including but not limited to implied warranties of merchantability, fitness for a particular purpose, title, and non-infringement. The disclaimer of warranties applies to the Site, content, and any goods or services offered through the Site. StarKist does not warrant or undertake any obligation to update the Site or to remove such information from this Site if it is no longer accurate or complete. StarKist does not warrant that the Site or content will be accurate, timely, uninterrupted or secure. StarKist does not warrant that the Site is free of viruses or other harmful elements. You should use the Site in the same manner as any other educational medium and should not rely on the Site to the exclusion of your judgment. The Site is not exhaustive and does not cover all issues, topics, or facts that may be relevant to you. WITHOUT LIMITING THE FOREGOING, EVERYTHING ON THE SITE, INCLUDING CONTENT, IS PROVIDED TO YOU “AS IS” AND “AS AVAILABLE” AND WITHOUT WARRANTIES OF ANY KIND. YOU USE THE SITE AND IT’S CONTENT AT YOUR OWN RISK. YOU ASSUME THE ENTIRE COST OF ANY NECESSARY REPAIR IN THE EVENT YOU EXPERIENCE ANY DAMAGE OR LOSS ARISING FROM YOUR USE OF THE SITE. STARKIST MAKES NO WARRANTIES THAT YOUR USE OF THE SITE WILL NOT INFRINGE THE RIGHTS OF OTHERS AND ASSUMES NO LIABILITY FOR SUCH INFRINGEMENT. IN NO EVENT SHALL STARKIST, OR ANY OF ITS OFFICERS, DIRECTORS, EMPLOYEES, AGENTS, AFFILIATES, LICENSORS, REPRESENTATIVES, ATTORNEYS, OR CONTENT PROVIDERS, OR ANY OF THEIR SUCCESSORS AND ASSIGNS (“STARKIST PARTIES”), BE LIABLE FOR ANY DIRECT, INDIRECT, SPECIAL, INCIDENTAL, EXEMPLARY, ACTUAL, CONSEQUENTIAL OR PUNITIVE DAMAGES, OR ANY DAMAGES WHATSOEVER, INCLUDING LOSS OF REVENUE OR INCOME, PAIN AND SUFFERING, OR EMOTIONAL DISTRESS, EVEN IF STARKIST HAS BEEN ADVISED OF THE POSSIBILITY OF SUCH DAMAGES, BASED ON: YOUR USE (OR INABILITY TO USE) OF THE SITE OR ANY CONTENT; ANY CLAIM ATTRIBUTABLE TO ERRORS, OMISSIONS, OR INACCURACIES IN THE SITE; OR ANY OTHER MATTER RELATING TO THE SITE. IN NO EVENT WILL THE COLLECTIVE LIABILITY OF STARKIST AND THE STARKIST PARTIES EXCEED THE GREATER OF $100 OR THE AMOUNT THAT YOU HAVE PAID TO STARKIST FOR THE APPLICABLE CONTENT, GOOD OR SERVICE OUT OF WHICH LIABILITY AROSE (REGARDLESS OF THE FORM OF ACTION, WHETHER IN CONTRACT, TORT OR OTHERWISE). Some states do not allow for the exclusion or limitation of liability for consequential or incidental damages, and therefore some of the above limitations may not apply to you. If you are dissatisfied with the Site, your sole and exclusive remedy is to discontinue using the Site. You agree to indemnify, defend, and hold harmless StarKist and the Starkist Parties from and against all actions, claims, damages, demands, losses, costs, awards, liabilities, judgments, expenses (including reasonable attorneys’ fees, costs of defense, and direct, indirect, punitive, special, individual, consequential, or exemplary damages), liabilities, and suits arising from or relating to (i) any violation of these TOU; (ii) any claims brought by third parties arising out of your use of the Site and/or any content; (iii) use of the Site by any person using your password; (iv) violations of any laws or regulations by you. This indemnification obligation shall survive the termination of these TOU. The materials contained on the Site were developed to keep you informed about StarKist and its products. Unfortunately, some of the products may not be available to you because of the manner or locations in which the products are distributed. As a result, we cannot make any claim, representation or warranty that the information on the Site is appropriate in any jurisdiction or that the products described on the Site are available for purchase in all jurisdictions. The Site is operated from the United States, and some of the software that may be downloaded from the Site could be subject to governmental export control or other restrictions. If you download any software, you represent and warrant that you are not subject to any such restrictions. We reserve the right to interrupt or discontinue any or all functionality of the Site, or any portion thereof, or remove or edit content for any reason whatsoever and at any time without notice to you. We also reserve the right to change, alter or improve the Site, or any portion thereof, and any content, or any portion thereof, at any time without notice. While we welcome your comments and feedback (through e-mail, regular mail or over the telephone) with respect to the Site or any of our products, please note that we are not seeking any unsolicited ideas, suggestions or materials related to the development, design, manufacture or marketing of our products. We have been in this business for over 100 years and have discovered that most ideas have either been thought of already or we have employees working on the same or similar ideas already. We realize that this may seem unfair, but it is really intended to avoid confusion about the ownership of new ideas and concepts and to help protect you. If you send us any proposed ideas or other such information, you must understand that such proposals (i) will be treated as non-proprietary and non-confidential and (ii) may be used by StarKist for any purpose whatsoever, commercial or otherwise, without any compensation to you. StarKist may also feature on the Site recipes and other information on different non-StarKist products which may be provided by third parties such as our sponsors. While StarKist does its best to only offer quality information, it cannot guarantee the accuracy of such information. By providing such information, StarKist does not necessarily endorse it. As part of the Site experience, you will be able to create a password protected online account (“Online Account”). Through your Online Account, you will be able to upload and store your favorite recipes and product information, and review/comment on recipes and other types of user generated content. You agree to provide accurate information when signing up for an Online Account. You are responsible for maintaining the confidentiality of your Online Account password, and agree to notify StarKist if your password is lost, stolen or disclosed to an unauthorized party. You are responsible for all activities conducted through your Online Account. Most elements of your Online Account are private and cannot be viewed by other users. However, if you chose to upload a recipe and/or comment or post a review on a specific recipe or product through your Online Account, that information will be available for viewing by other users of the Site. Everything else within your Online Account is private, including your favorite recipes. As referenced above, you are able to upload/post user generated content to the Site, including the ability to post comments about another party’s user generated content. You will have the ability to upload/post user generated content on both the Site in general, as well as through your Online Account. You hereby grant to StarKist the royalty-free, perpetual, irrevocable, worldwide, non-exclusive right and license to use, reproduce, modify, adapt, publish, translate, create derivative works from, distribute, perform, and display all of Your Content, and to incorporate any of Your Content in other works in any form, media, or technology now known or later developed. StarKist may use any of Your Content in its business (including, without limitation, for products or advertising) without incurring any liability for royalties or any other consideration of any kind. StarKist will not incur any liability as a result of any similarities that may appear in future StarKist operations. You represent and warrant that: (i) you own all applicable intellectual property and other right, title and interest to Your Content, or have obtained all necessary license(s) from the owners of such intellectual property rights to use Your Content; (ii) you have the rights necessary to grant the license and sublicenses described in these TOU; (iii) you have received consent from any and all persons depicted in Your Content to use Your Content as set forth in these TOU, including distribution, public display, public performance and reproduction of Your Content; and (iv) Your Content does not violate the intellectual property rights, privacy rights, publicity rights, contract rights, or any other rights of any person or entity. You acknowledge and agree that by accessing or using the Site or content, you may be exposed to information, data, documents, images, photographs, graphics, audio, videos, or webcasts from others that may be considered offensive, indecent or otherwise objectionable, and you will in no way hold StarKist liable for such content. The previous list is not exclusive. StarKist reserves the right to: (1) terminate your access to the Site for any reason; and (2) delete or edit any of Your Content (but StarKist has no duty to delete or edit Your Content even if requested to do so by a third party) for any reason including but not limited to content that violates these TOU or is otherwise objectionable. StarKist is under no duty to, and does not represent it will, monitor or pre-screen Your Content. Identification of the copyrighted work claimed to have been infringed, or, if multiple works at a single online site are covered by a single notification, a representative list of such works at that site. Identification of the material that is claimed to be infringing or to be the subject of infringing activity and that is to be removed or access to which is to be disabled and information reasonably sufficient to permit StarKist to locate the material. Information reasonably sufficient to permit StarKist to contact you as the complaining party, such as an address, telephone number, and, if available, an electronic mail address at which the complaining party may be contacted. If you believe that any content on the Site violates or infringes your intellectual property rights, other than copyright claims referenced in the previous section, please send a detailed email toprivacy.coordinator@starkist.comdetailing your allegation or complaint. StarKist takes infringement of intellectual property rights seriously and will investigate the matter. Along with recipes posted by StarKist, users will also be able to post recipes to the Site through their Online Accounts that will be viewable to other users of the Site. Users can then vote for their favorite recipes so that other users can see which ones are the most popular. This service is not a contest and there are no prizes for the most voted on recipes. We reserve the right to cooperate and comply with all legal requirements, authorities and processes regarding your use of the Site. You waive and hold harmless StarKist from any claims resulting from any actions taken by StarKist in connection with StarKist cooperating and complying with all legal requirements, authorities and processes regarding your use of the Site. This includes, but is not limited to, if StarKist is required by law to disclose your identity and online activity. If any provision of these TOU is held to be unlawful, void or unenforceable, that part will be deemed severable and it will not affect the validity and enforceability of any remaining provisions. StarKist operates the Site from its headquarters in the United States. The Site is only intended for users within the United States. If you use the Site outside the United States, you are responsible for complying with your local laws. Please note that we reserve the right to change the content of these TOU at any time in our sole discretion and with no notice to you. You will be required to comply with any such revisions and therefore should periodically visit these TOU to review the current TOU to which you are bound. These TOU set forth the entire agreement regarding matters discussed herein and supersedes all prior communications, proposals and promises, whether written, electronic, or oral, between you and StarKist. These TOU will be governed and interpreted pursuant to the laws of the Commonwealth of Pennsylvania without regard to any principles of conflicts of law. You specifically consent to personal jurisdiction in Pennsylvania in connection with any dispute between you and StarKist arising out of these TOU or pertaining to the subject matter hereof. The exclusive venue for any dispute arising out of these TOU or pertaining to the subject matter hereof shall be in the state and federal courts in Pittsburgh, Pennsylvania. StarKist may assign or transfer these TOU to any entity which is a successor to StarKist’s interest, whether by merger, asset acquisition or otherwise in StarKist’s sole discretion. You may not assign or transfer these TOU. StarKist does not assume any liability or responsibility for your use of the Internet or the Site, including but not limited to, any effect such use may have on your computer or network. The proprietary rights, disclaimer of warranties, representations made by you, indemnities, and limitations of liability shall survive the termination of these TOU. StarKist’s failure to enforce any provision of these TOU does not constitute a waiver of same provision. If you violate any provision of these TOU, StarKist may deny you access to the Site and/or delete your Online Account without notice to you. These TOU are effective as of 8/1/2010.